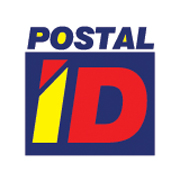 The Improved Postal ID Privilege Program is a value-added service that entitles the Improved Postal ID cardholders upfront discounts, product/service upgrades, freebies, and other exclusive deals at different merchant partners across the country. ​The Improved Postal ID cardholders can now enjoy various privileges while dining at restaurants, staying at hotels or resorts, visiting theme parks, shopping for appliances and other products, or availing services in salons, spas, clinics, fitness centers, training schools, etc. 3. Cebu Saint Luke's Diagnostics, Inc.